With its smooth, unglazed surface and its random shade variation, the Jeffrey Court's marble mosaic wall tile can be installed alongside stone or ceramic field tiles (sold separately) to create a coordinated look. Mesh-mounted Mosaics can be used as a whole sheet or cut to make affordable feature strips. Penetrating sealers recommended before grouting. 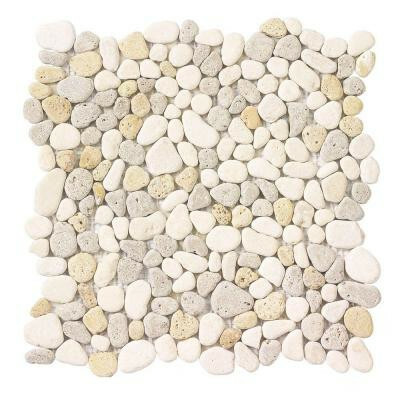 Recommend white “polymer-modified” thin set and non-sanded grout for best installation results. You can buy this product in our internet market. We will be glad if you make the right choice.